Last Spring, I was packing. Throwing stuff away, getting ready for a yard sale, and cleaning like a mad woman. (As much as I could with a toddler and 2 year old). There were no spring projects, crafts or decorations going on and it kind of drove me cuh-razy! This Spring, we’re living in our travel trailer on the road. Spring Cleaning takes about two hours. And once again–no spring crafts or projects or anything fun like that. There just isn’t room! 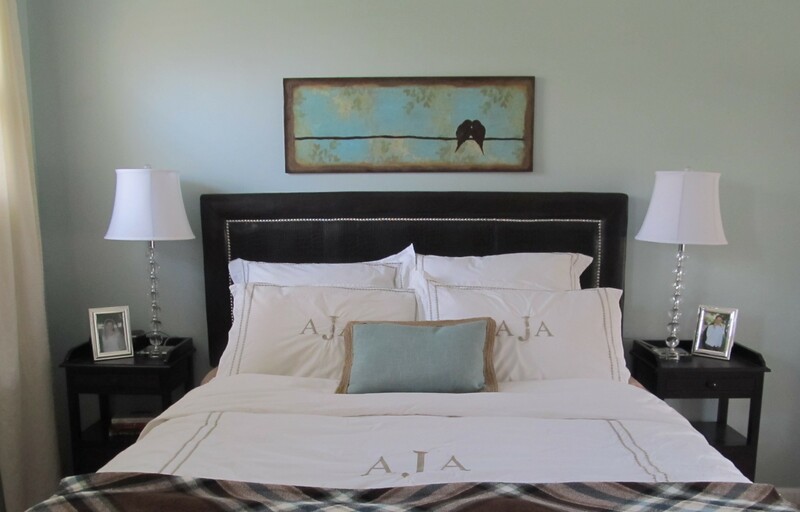 So I thought I’d reminisce a little about one of my all-time favorite spring projects–the year we finally decorated our master bedroom and made it look pretty. I always get crazy genius ideas in my 3rd trimester. This pregnancy was no different. One night, I couldn’t sleep because I had this plan racing through my head. 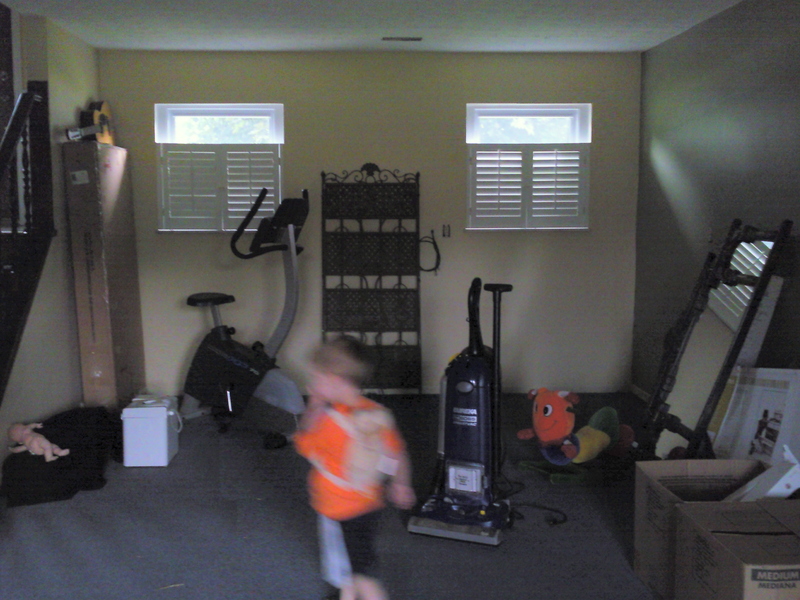 I woke Adam up and told him we needed to re-arrange all the bedrooms–move Jackson into Lily’s room, move Lily into the nursery, move the nursery into our room, and move ourselves down to the basement. Luckily, Adam knew better than try to dissuade an 8-month pregnant woman on a mission saw the genius in my plan, too. The basement had previously been used for storage and definitely looked like a basement. 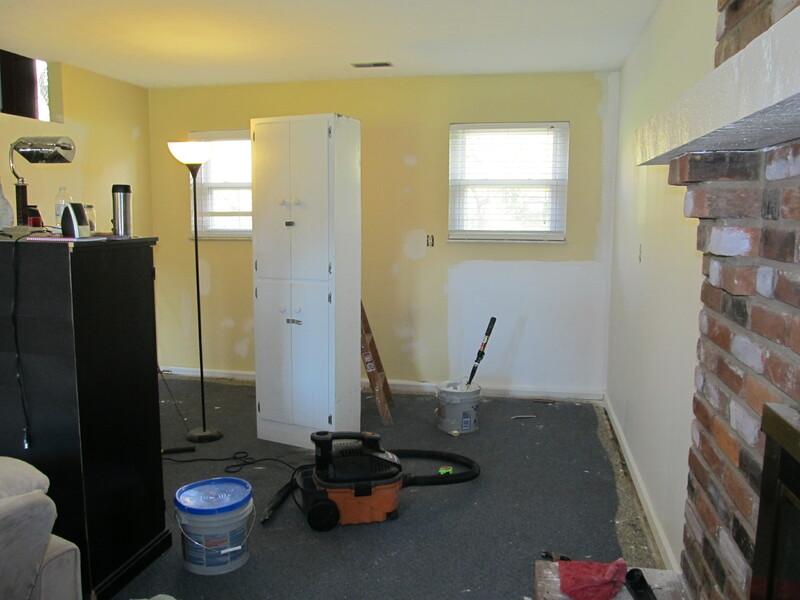 The randomly placed fireplace was a big eyesore. There were holes in the dry wall from termite damage. It was a big project! It’s miraculous what a little paint can do, isn’t it? I wish I could remember the color we painted the walls. But it was the perfect color of blue…kind of an aquamarine, with hints of gray and a tiny bit of green in certain lighting. I loved it. This pretty little bird jewelry tray was from Michael’s. 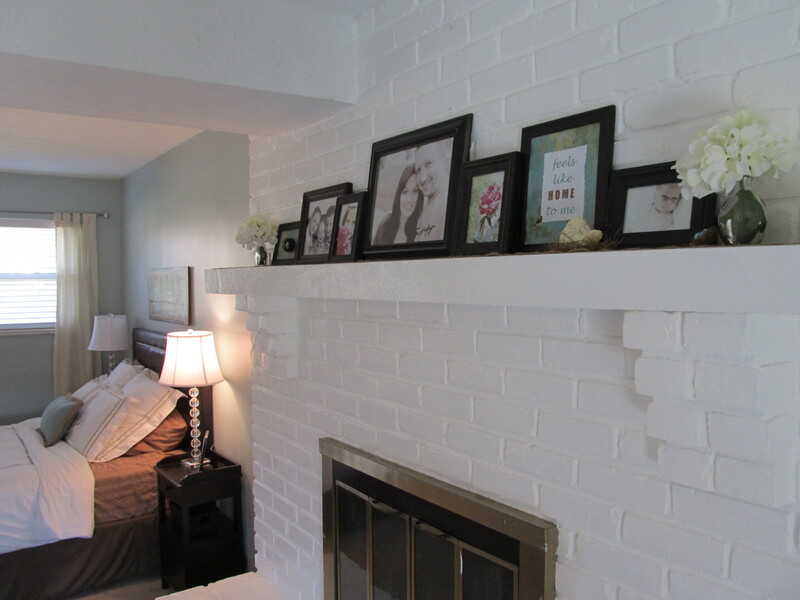 I painted the fireplace after a little google research on how to do it, and you know what? It was pretty easy. Time consuming? Yes. Worth it? Totally. 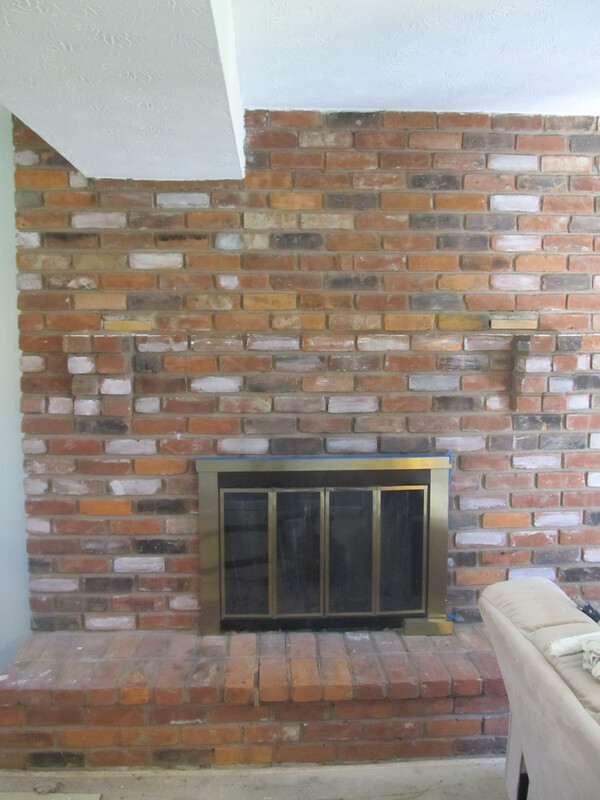 In the process of painting we discovered that the fireplace was letting in a lot of cold air through holes in the old brick. After caulking and painting, the room was quite a bit warmer. I was in the process of researching how to paint the brass, but we ran out of time. 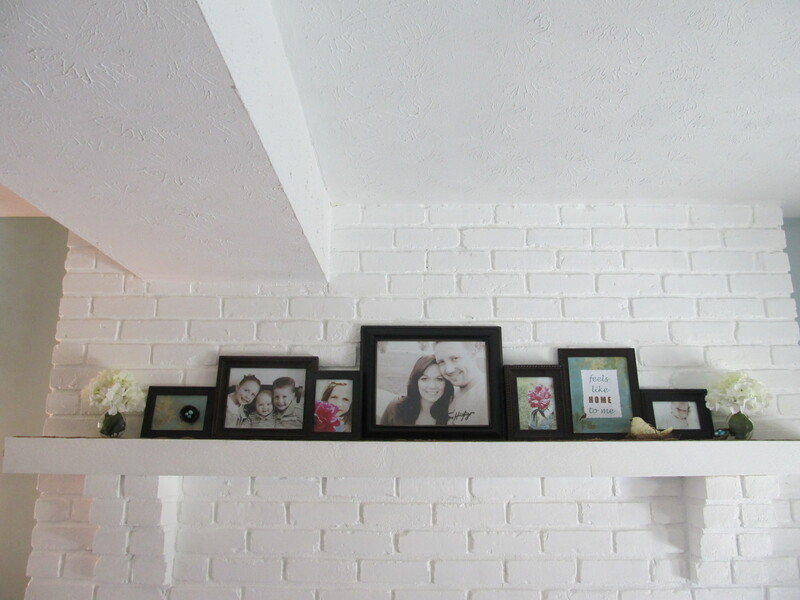 I shopped around the house and garage for un-used-at-the-moment frames, then printed a few favorite pictures at Walgreens for the mantel. 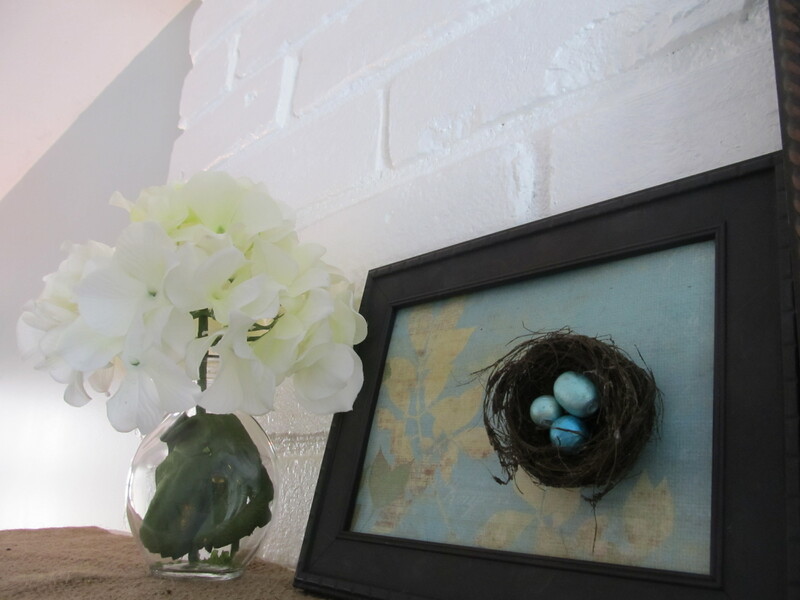 I found these tiny nests at Meijer for .39 cents. 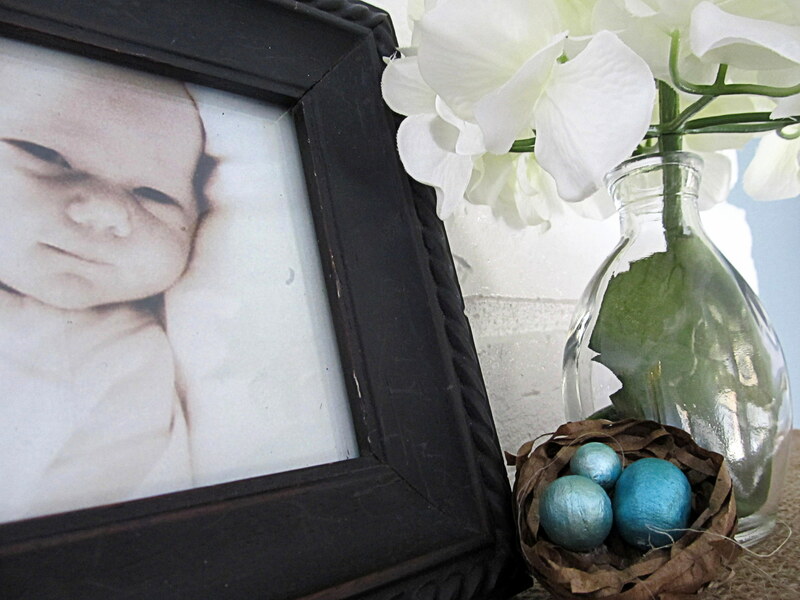 I didn’t have any eggs, but I did have some old beads that reminded me of robin’s eggs. I liked the detail they added to the mantel display. I was crazy about these lovebird paintings on etsy, but not about to spend $80-$100 on something that I might not like longer than a couple of years. After a few hours of gathering courage and inspiration on Pinterest, I decided I could make my own. If time allows, I’ll post a tutorial, because it was very simple to make and cost less than $10. (And two years later, I still love it enough to take it to Honduras). 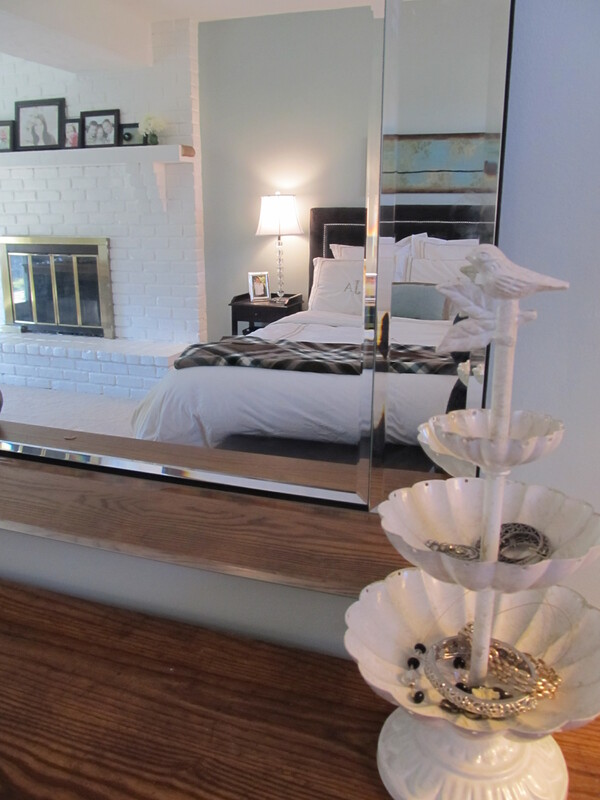 My little sister and i just got our room re-done it is like a baby blue/robin egg mix. 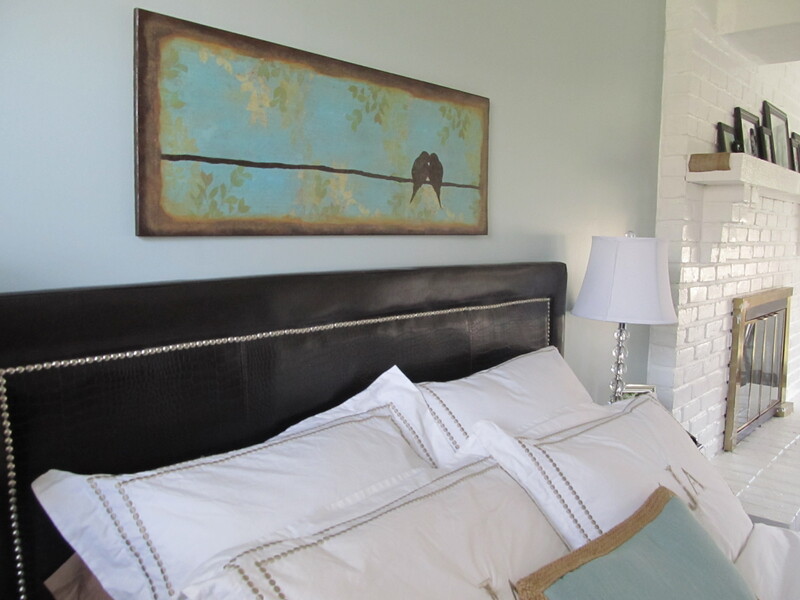 I love birds and your room turned out great.